In the case of Fertig v. Kelley, No. 16-CV-4801 (C.P. Lacka. Co. Sept. 27, 2017 Nealon, J. 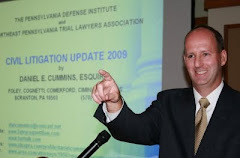 ), Judge Terrence R. Nealon of the Lackawanna County Court of Common Pleas granted judgment on the pleadings in favor of an automobile insurance agent named as a party defendant in a Post-Koken bad faith suit. The decision was based, in part, on the court's reaffirmation of the law providing that the bad faith statute under 42 Pa.C.S.A. Section 8371 only applies to an "insurer" and not an insurance agent.